Poland to build world's largest Jesus Christ statue — A small Polish town has sought to place itself on the global tourist map by building the world's largest statue of Jesus, eclipsing Rio's famous Christ the Redeemer. 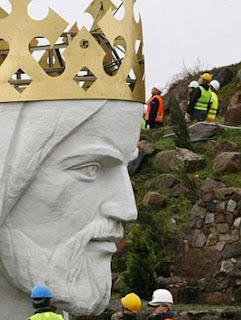 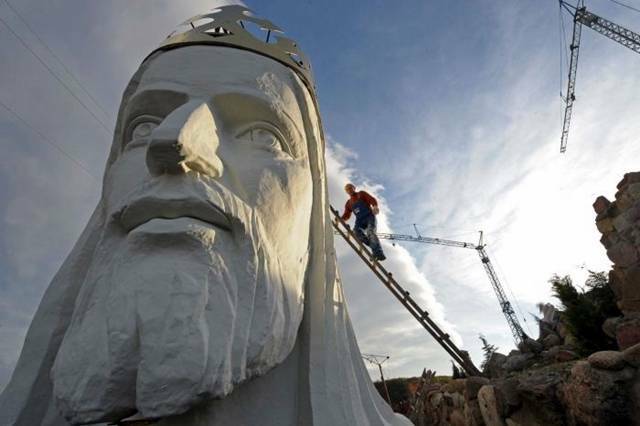 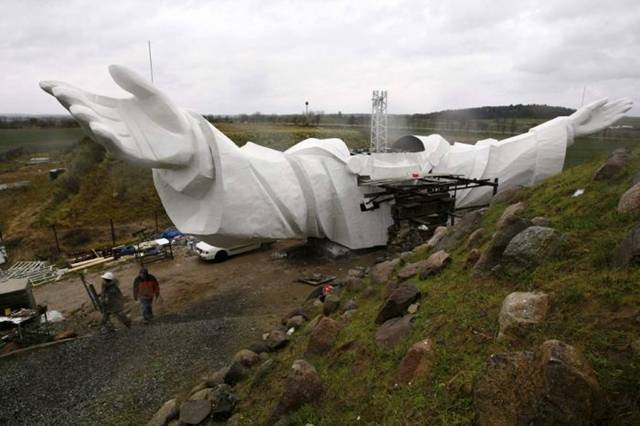 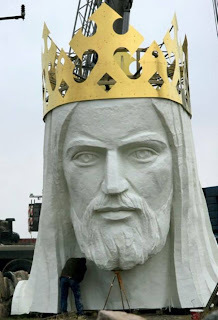 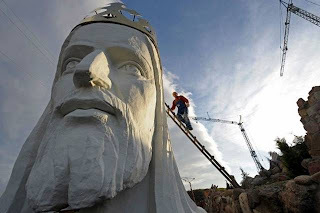 Swiebodzin, a Polish town of 21,000 near the German border, will soon be home to a 33-metre effigy of Christ, which, along with a crown that adds a further two metres and its 16-metre mound will put all other statues dedicated to the son of God in its shade. 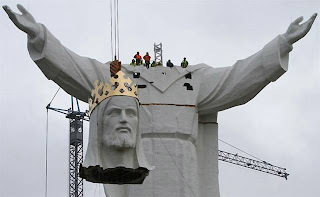 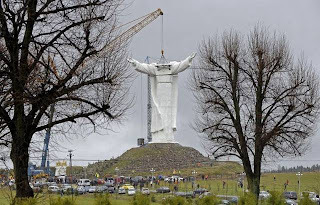 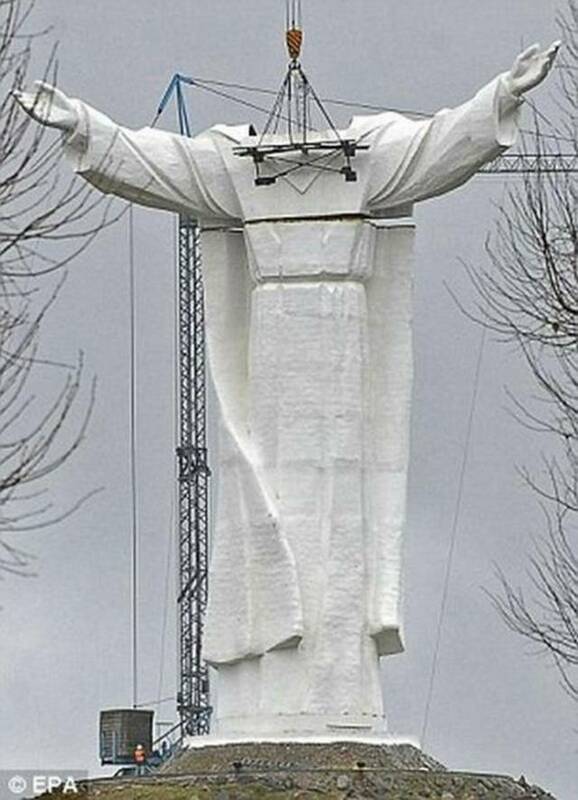 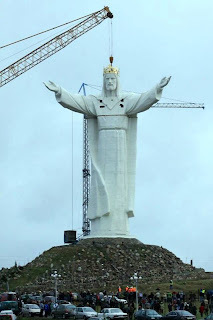 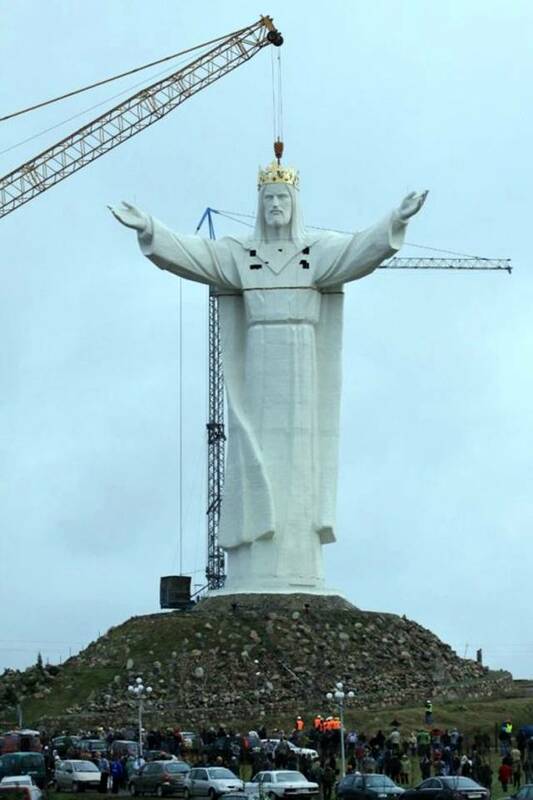 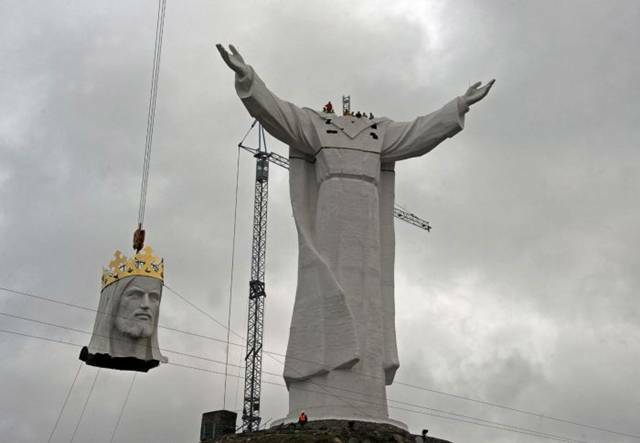 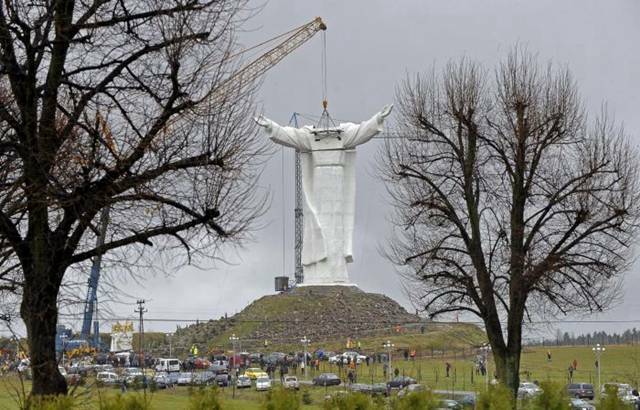 Due for completion in November, the monument should pip the world's current record holder, Bolivia's Cristo de la Concodia statue, by some nine metres, and look down on the world famous statue in Rio de Janeiro, which stands just 30 metres tall minus its plinth. 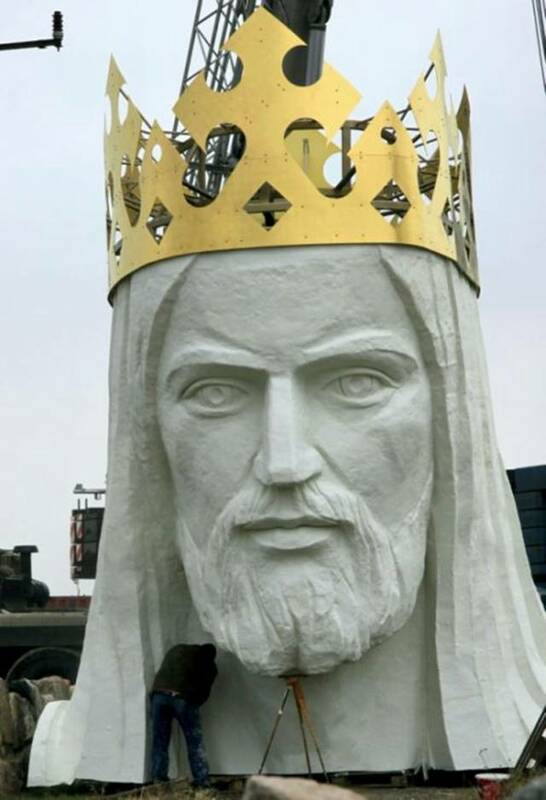 Although erected ostensibly to show gratitude to God, the town hopes having the massive statue will bring tourists into a community that has lain off the beaten track for most of its existence. "If we had opened a racetrack or a golf course here, tourists would have come only for the season. 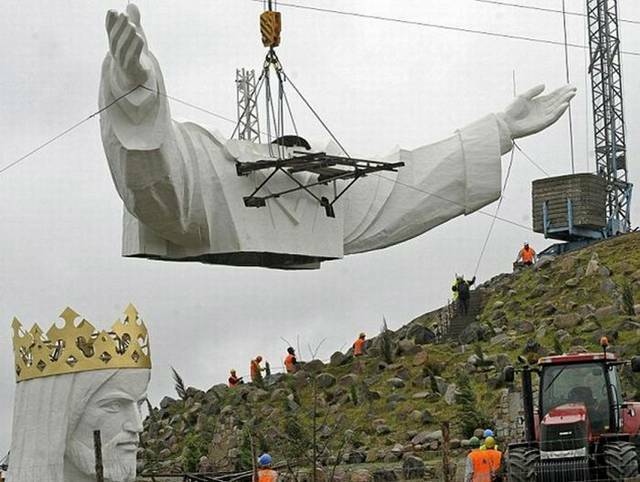 But with a statue of Jesus the season will last the whole year," a local official told Wprost, a weekly news magazine. 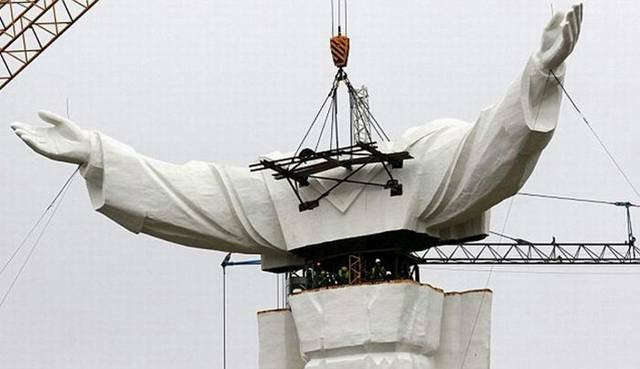 With construction nearing the end, engineers face the hazardous task of lifting the figure's massive head and shoulders into place, which, officials say, might require the use of a helicopter.